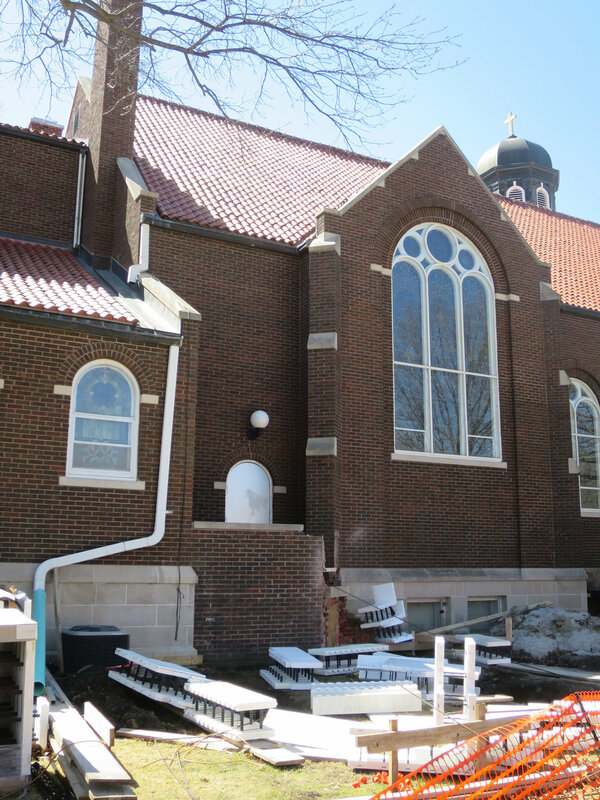 Clark Architects Collaborative 3 was asked to help the St. Charles Borromeo Parish in North Bend, Nebraska design a new accessible side-entry to their 100 year-old church. 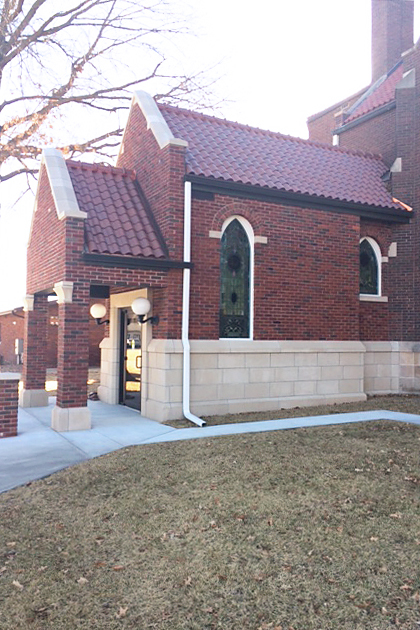 Parish volunteers helped to clean original brick, removed for the addition, so it could be blended into the new brick. 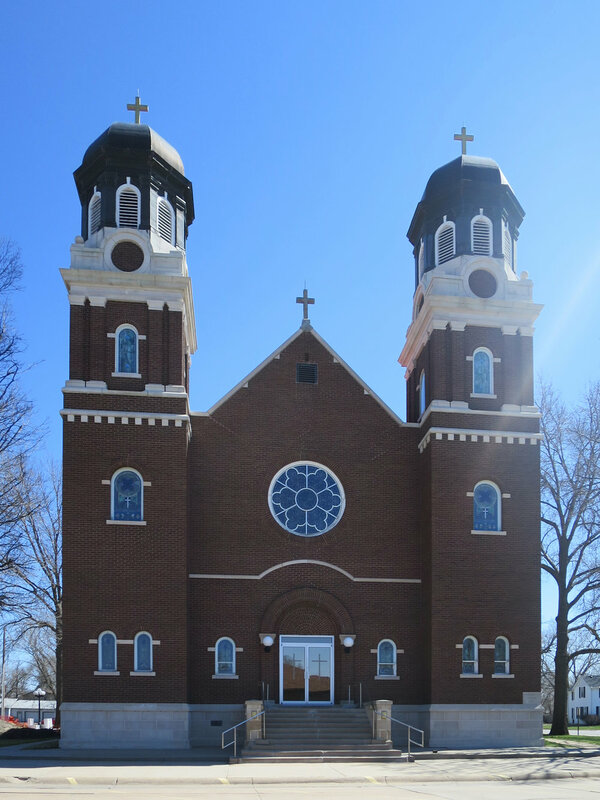 Gothic stained glass windows from a local church were incorporated into custom frames in order to fit Roman arches that match the church. 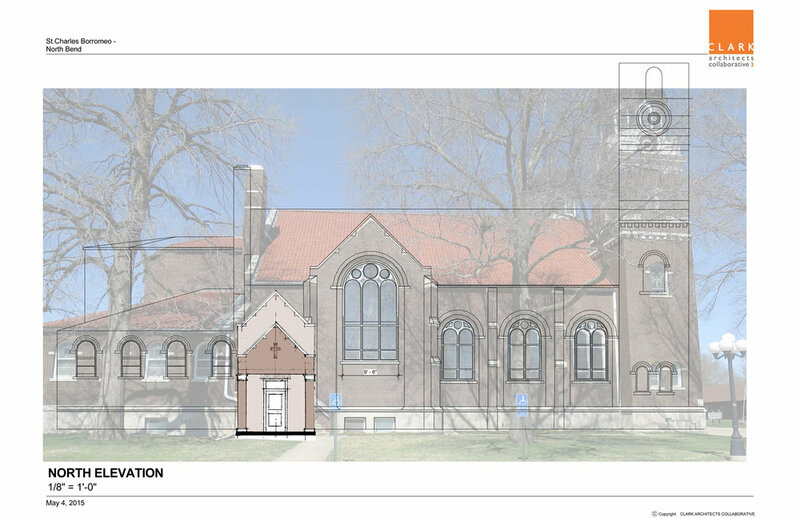 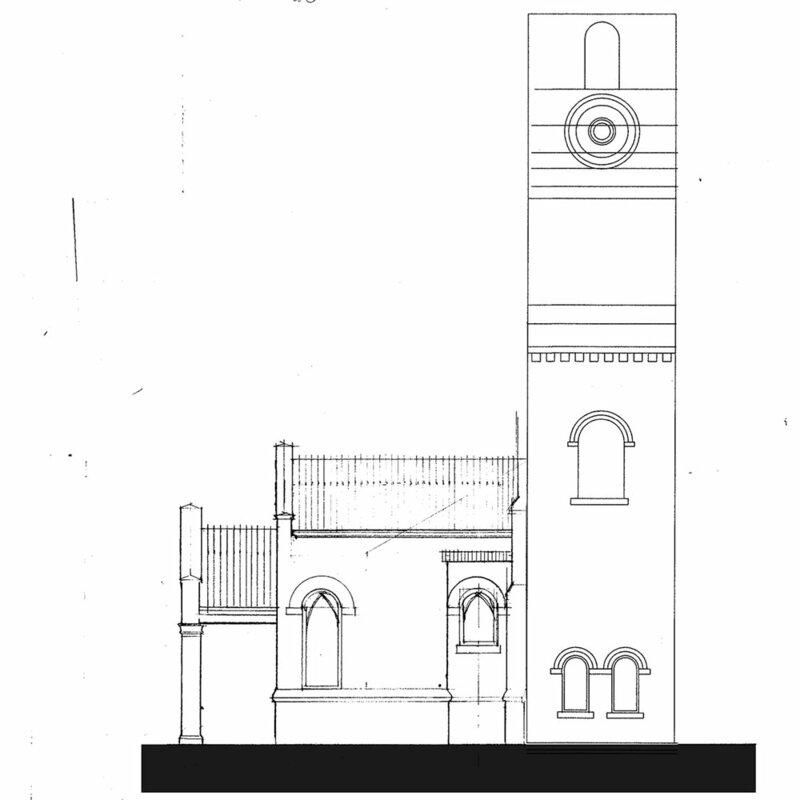 The design committee went to great lengths to find limestone, brick, and clay tile to match the original building.